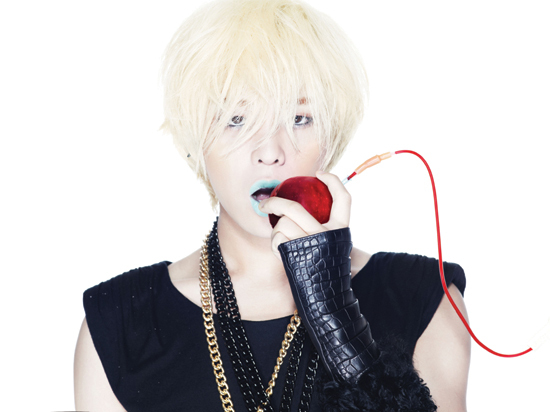 G-Dragon Seen Smoking | It's Conspiracy! G-Dragon, the center of various controversies lately, managed to draw the public’s attention yet again, this time not with his neon shorts or plagiarism accusations, but the cancer stick he was seen holding between his fingers. This explains why the “Boy” can’t “Breathe”! Kush and actress Kim Min Hee were also spotted in the pictures. As expected, netizens are in complete disarray over the photos of the Big Bang leader blazing one up at the 2009 Global Gathering. Smoking isn’t a big deal, but GD is an idol. Shouldn’t he be more careful? I liked Big Bang’s GD better than the solo GD. Didn’t he participate in an anti-smoking campaign last year? How hypocritical. An artist like him should be taking care of his throat, but he smokes instead. On the other hand, some comments were in defense of G-Dragon’s act. Smoking is not the issue here. It’s his plagiarism accusations. I feel sorry for both Jaebeom and GD… Being a celebrity in Korea must be stressful. He looks cool even when he smokes. It seems as if G-Dragon didn’t care whether people found out or not seeing as he was smoking at public events where cameras are prevalent. Although VIPs generally agreed that it is his own private matter whether he smokes or not, they are still concerned for his health. After all, smoking has been scientifically proven to cause to several life-threatening health risks. Perhaps this “Heartbreaker” should stop breaking girls’ hearts and start taking care of his own. Nahh.. Here we go again.. I bet this isn’t really…welll I hope for the best!!! ❤ gd please no!!! just giveeeee gd a break! FOR YOUR HEALTH STOP IT….